This topic contains 1,583 replies, has 64 voices, and was last updated by Darkest Star Games 2 days, 8 hours ago. In my CROM! games I have been plodding along with a generic location, but it is about time I place it into Hyboria proper. I have the main village of Simurgh which my hero’s frequent and then there are the regular run ins with the tribe from Utuseb. I am not sure what the best fit would be, something like Shem or Stygia? 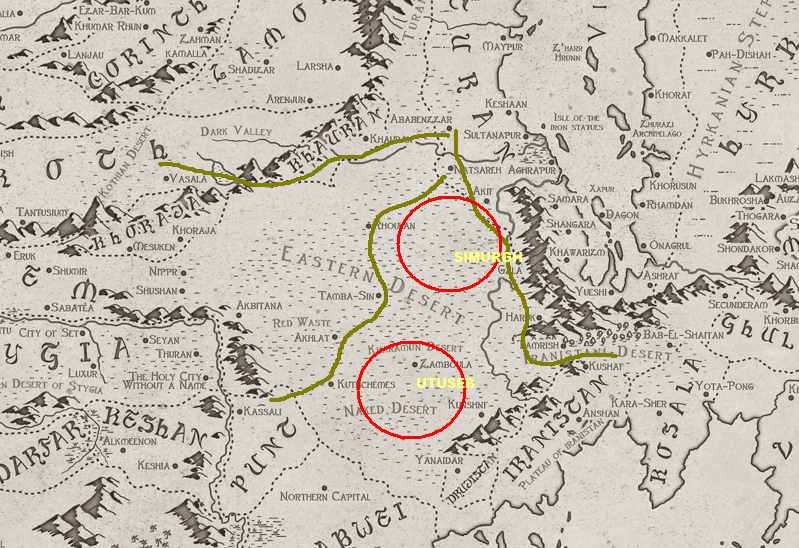 How about somewhere in the wastelands near the border of Stygia, Kushan and Punt also nominally under the influence of Turan? Here’s a map with short explanation for each nation. I’d say Stroezie is correct. That general area would have the right feel. Great link, by the way! So I am thinking the two main settlements are somewhere in these circles with the lines being trade routes? Simurgh being an extension of Turan and Utuseb of Punt? Yep, that would be more or less where I would put them. Of course that would be my spin on things, not saying it should be yours. Beautiful brushwork. Put me down as seriously impressed. Love the richness of the colors, obviously first quality Turanian carpets, perfect for wrapping princesses ! Really looking forward to getting these now, don’t know if I’ll manage to give mine quite the luxury apperance yours have, but I’m going to have fun trying anyways. Those really are beautifully done. Though I’ve decided to forge on in 28mm for my CROM! project – better sense finally prevailed – I can’t say enough how impressed I am with all your offerings. May all the wealth of Turan and Shem and Khitai be yours! Yes, I’m quite convinced now, doing Conan in two scales is just too silly for words. Better sense has nothing what so ever to do with this hobby, you stop that right now sir ! No, no,no this just won’t do! Lets see ,we’ll have 28mm for skirmish, 15mm for larger engagements, oh and 6mm for a travel set of course! Yes, yes much better… much better… mumble mumble… young whippersnapper… mumble…. Thanks everyone, no real skill involved, just patience to create the illusion of quality! Yes, I’m quite convinced now, doing Conan in two scales is just too silly for words. 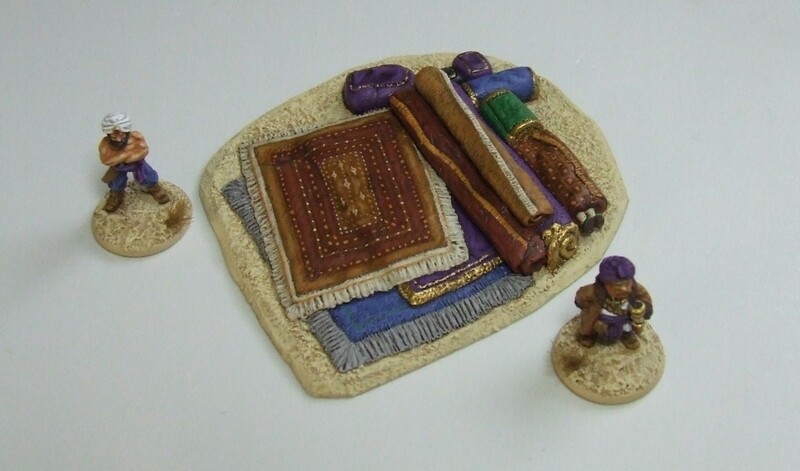 Though if you do persist in this oversized 28mm madness be sure to share your work, and be sure to use the Trading Post forum to sell off the 28mm when you finally realise how much more stuff you could get in 15mm. Stroezie, AB, your words of wisdom have been duly noted. Of course, as I have all the restraint of a drunk in a distillery, I may well end out pursuing the world of Hyboria in multiple scales. The travel pack is a good idea. One thing I’m not especially tempted by, for whatever reason, is large scale, army actions. The fates of dynasties and nations I can easily forego; instead give me small, sharp actions, with our favourite barbarian as a thief with a few companions, up against a wizard or a king and his bully boys – perhaps an eldritch horror or two – and I’m set. Nice and focused, just like AB’s been doing on the Crom’s Anvil site. I’m collecting figures for two different Conan skirmish projects in 28mm and an additional one in 15mm. I’ve been amassing 28mm figures for Conan gaming for more than ten years, though I’ve not achieved much in the way of painting them. For several years that was the only project I had – I’d fooled myself that I’d scrapped all other projects so that the entirety of my miniature gaming hobby was the Hyborian Age in 28mm. Eventually I took up other projects again, and when I returned to assess my Conan hoard I came to feel that it was too eclectic a mix of figures. The brunt was historical figures but there were also some really fantastical fantasticals that jarred with the historicals. So, I split it into two projects. One uses mainly historical figures and is more in keeping with REH’s original vision. The other is much more OTT, drawing mainly from the films, the comics (both Marvel and Dark Horse), the artwork from the 60s onward (Frazetta, Vallejo, etc) and the video game visuals. The former project is more extensive than the latter. The 15mm project coalesced much more recently thanks to TWW. I suppose that in terms of style it’s more of an amalgam or a golden mean, but if I had to define the style as any one thing, the Marvel comics would be it. The Conan comics are just about the only thing Marvel ever made that I like. On your birthday what is best in life? Michael: Man, that is a cracking way to celebrate another year under the belt. Hopefully you have plenty of spare time this weekend for perusal. Let us know what you think of that book. Happy birthday!!! Rhoderic, I find your approach to Conan fascinating. And strangely tempting. I tend to drift a little in the Fantasy direction myself: I love painting evil, frequently bald, sorcerous types, monsters and so forth – the bigger the better – and so to some degree that determines the figures on the workbench. 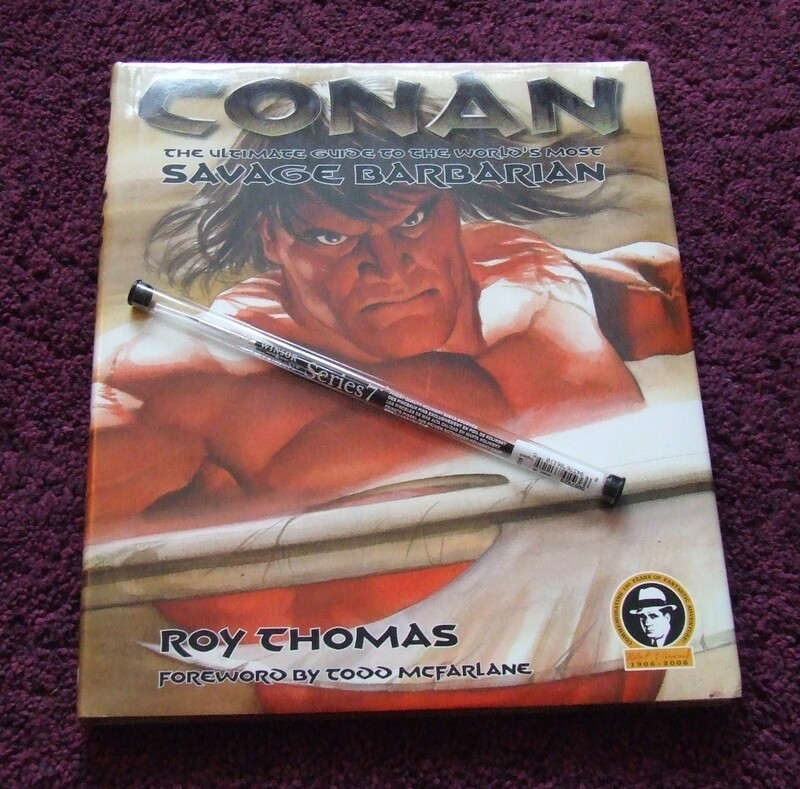 Having said that, quasi-historical humans should always be the main features of a Conan story. Next up for yours truly are Picts: I’m using the Monolith plastics. I’m not sure they’re exactly what Howard had in mind, but they just look so very, very cool, at least to my eyes. I look forward to doing the warpaint. I suppose the “central tenet” of my approach is that there’s numerous visual interpretations of the Hyborian Age (and the Atlantean Age that goes with it). We’re talking about 8-9 decades of interpretations – each made after its own “spirit of the age” – in several different visual media and partly different subcultures within the grand topography of fantasy fan culture. Each visual interpretation has bastardised REH’s vision in one way or another – even the original cover artists for Weird Tales magazine were “getting it wrong” from the start – but that’s not the point. The point is, each visual has worth in and of itself, and they can exist side-by-side as different, discrete things. I for my part can’t really decide which visual is my favourite, so I like to jump from one to another, because I can. My previous mistake with my 28mm project was trying to weld too many of them together into one thing. Taking Picts as an example, I think the Monolith boardgame ones would suit my deliberately OTT 28mm Conan project perfectly if only there were a few more poses of them. For my more down-to-earth 28mm Conan project, I’ve chosen Gripping Beast Skraelings (although now I can’t remember whether I’ve actually bought them or not, and they seem to be OOP now ). For the 15mm project, the Copplestone Picts were part of what informed my chosen aesthetic in the first place. This reply was modified 1 year, 5 months ago by Rhoderic. AB, please delete this if we’re hijacking your thread! I couldn’t agree more regarding those early Weird Tales covers. Most of them are quite ridiculous, looking more like Nick from The Great Gatsby, stripped and in shorts, than our favourite iron-thewed Cimmerian. Don’t even get me going about the women…Did they even read the stories? Maybe a new topic about inspirational Conan things? I can resist anything but temptation. Thread started! A while back I made and moulded up some little stone pillar post things. Bricks with a slab on top. Here I have a couple with some Strozie-esque fire bowls on them. If anyone wants a few of the pillars let me know, I can stick them in with orders FOC. They look good to me. Braziers (and brassieres?) of all sizes are needed for Conan games, methinks. Looking forward to seeing some painted up! 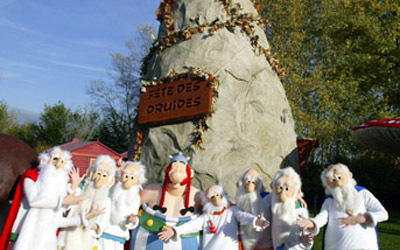 Cheers, I have decided* they will be on either side of the entrance to Simurgh. I am not sure the best way to enclose Simurgh though? Low stone wall, big stone wall? Fences, ditch and crude barricades? The ‘walls’ need not be especially effective, but the feeling of safety will be increased if there is a tangible border/line that defines an inside and an outside. It is still small but as it is seeing growth it will need to protect itself from bandits. *until I change my mind that is.. I am making another hut, a slightly bigger and more prestigious hut. The Shaman or the Chief? What do you reckon, initially I thought shaman but then wondered if he would live in something less conventional, such as a cave or something? I say give it to the chieftan! For the shaman maybe something like a hollow baobab tree? oooh a weird tree, nice idea. Thinking of something like this for the walls of Simurgh. The fire bowls are separate but seeing as I will need a few of these wall sections I may as well mould them up for sale too! Just need to glue it together and then fill the gaps.. I immediately started imagining a scenario where someone or maybe even someting is grabbing villagers at night and the heroes have to patrol the streets to try and catch him/it. Do I coat the walls in a clay/mud/plaster like my dwellings or leave it as is? with plaster = foamcore + spacle = I can do that me! 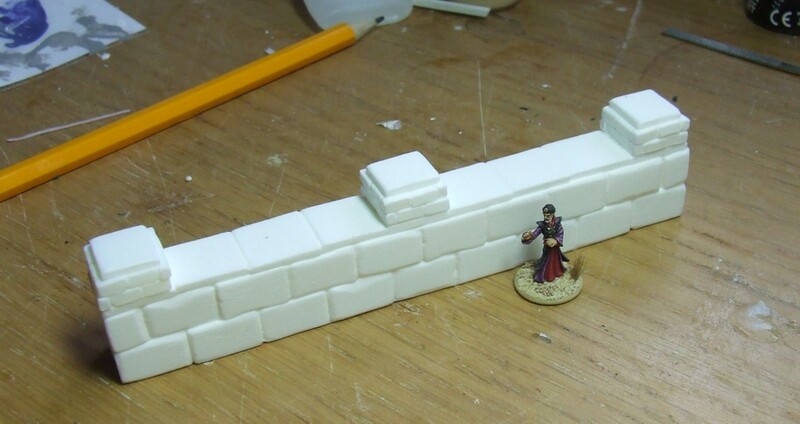 As is = wow cutting a bunch of bricks and stacking them one by one that looks like to much work = I’ll just buy those and save myself the trouble. Ha ha, already coated them! I can make another section though that is plain. 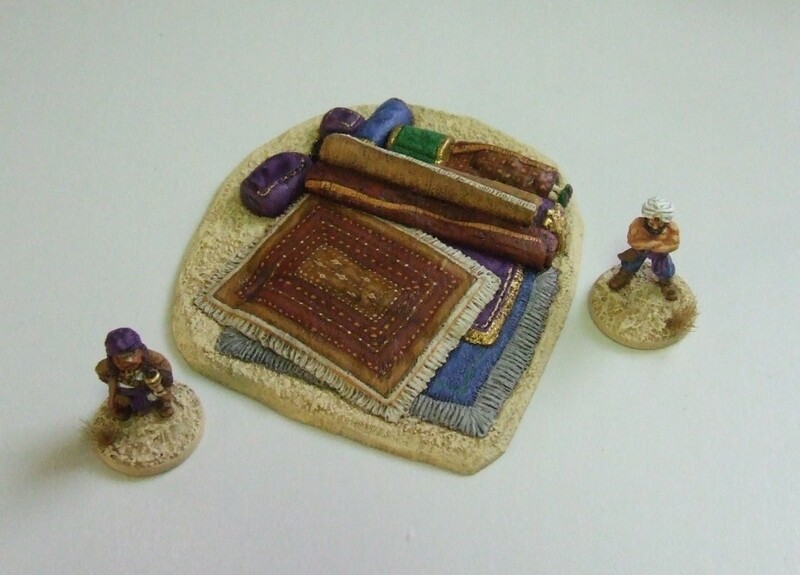 That look great – you could also use two to replicate a scene set some on ramparts too. I am considering doing another wall without the slabs on top so you could stack them to make taller walls. Also a sort of gate post pillar, but how many bricks tall, 4 or 5? They look great! A lot of potential scenario fun there. I’d go with 4 bricks for the gate posts, they are usually not that much taller than the walls themselves unless there’s also a sign above the gate. Ha Ha, again I ignored you! I went for 5 as if people decide to stack the walls when I do the just bricks version then a 4 tall pillar will not be higher than the walls. If people use a single wall and think 5 too high, it should be pretty straight forward just to cleave a section off.